If I was on the go or had major cravings, it would be for burgers. Burgers has been there for years. Easy to eat and you could bring it anywhere, these are meals on the go. 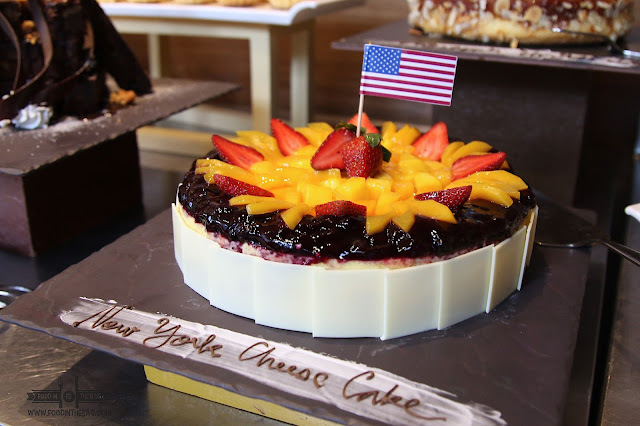 At FLAVORS in HOLIDAY INN MAKATI, they made this the centerpiece of their AMERICAN FOOD FESTIVAL. 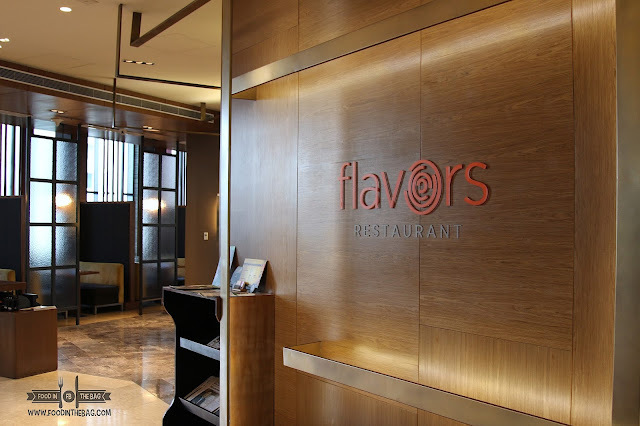 Located on the lobby floor of the HOLIDAY INN, FLAVORS is the all day dining restaurant of the hotel. 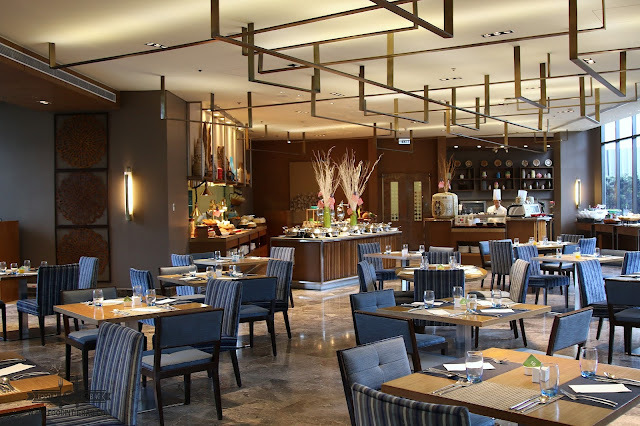 Spacious seating and excellent service, one can be at ease when visiting this hotel restaurant. 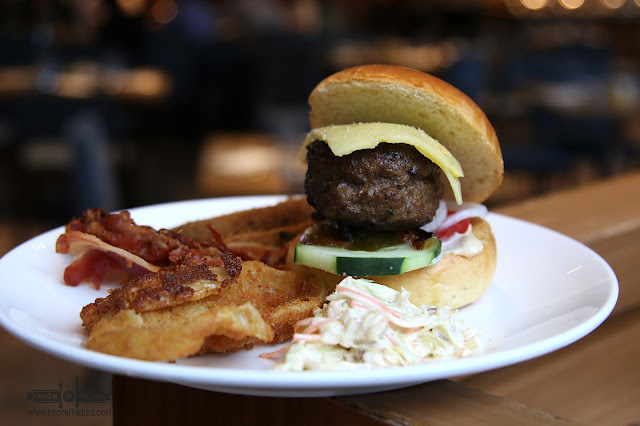 This JULY, FLAVORS would be serving their AMERICAN FOOD FESTIVAL every FRIDAYS, SATURDAYS, and SUNDAYS. 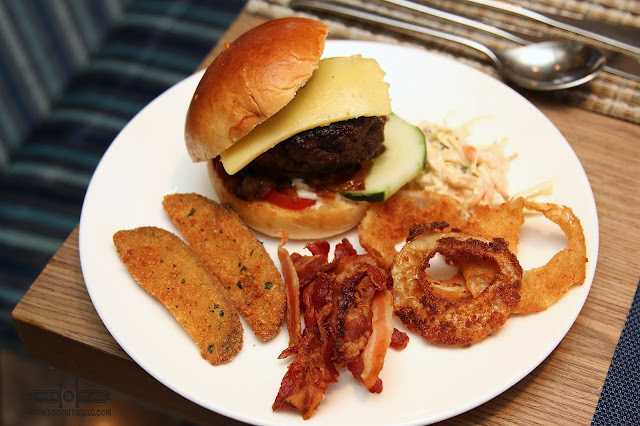 This is the time that different American themed dishes are served. One could start off with some freshly baked bread with some cold cuts and an assortment of salads. You could also create your own version of the caesar salad in their huge wooden bowl. 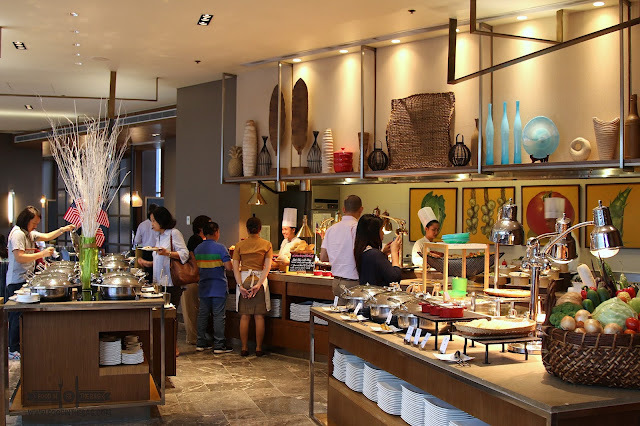 Dishes such as the BABY BACK RIBS, BUTTERMILK FRIED CHICKEN, and other familiar favorite entrees are served at one corner of the buffet spread. 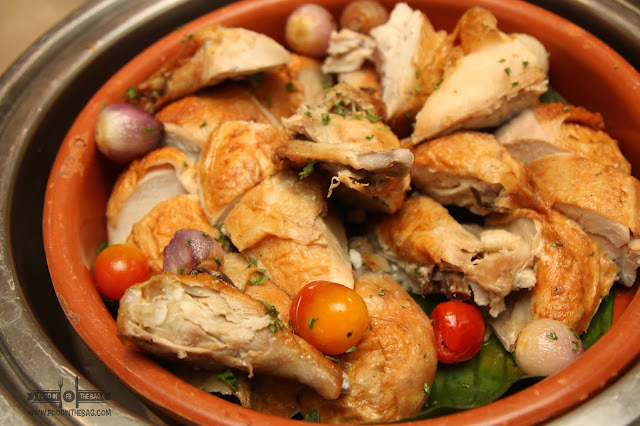 That time around, there was roasted chicken in the fray as well. Furthermore, they have a carving station that has different types of steak depending on which day you visit. You could also pick different items to grill based on your preference. The main draw would be the Burger Bar. A tough choice between a chicken patty or beef must be made. From here, toppings such as onions, tomatoes, and pickles could be added. One could even ask for bacon and eggs if you wish. 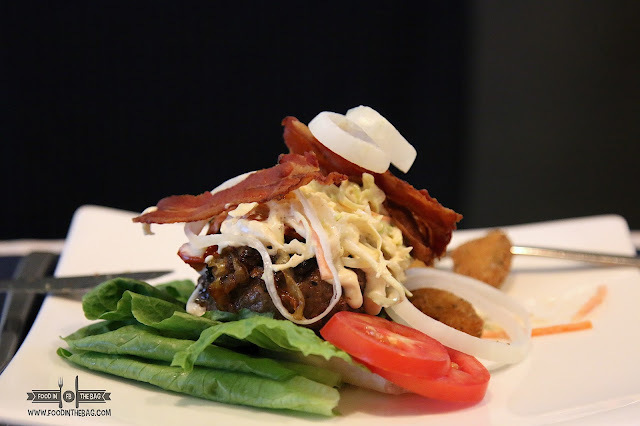 Sides such as the potato wedges, fries, and onion rings are also prepared just for you. You get to pick the type of bun. They have ciabatta, brioche, and corn bread. Others though would like it to be carbs free so you could create a no bun burger. Aside from these, you also have the option to make your own noodles. If you brought kids, they have a station just for them. With sliders, pizza, and even mac n cheese. 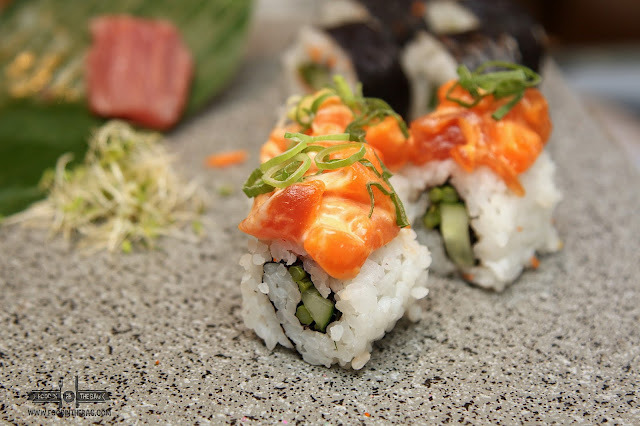 You'll be happy to know that they have Japanese rolls and freshly sliced sashimi. Dessert is a big part of FLAVORS. They have a wide range of options for you to choose from. You could go for their best sellers like the cheese cake and the brownie. You might also get nostalgic because they have the crepe samurai from the InterCon. 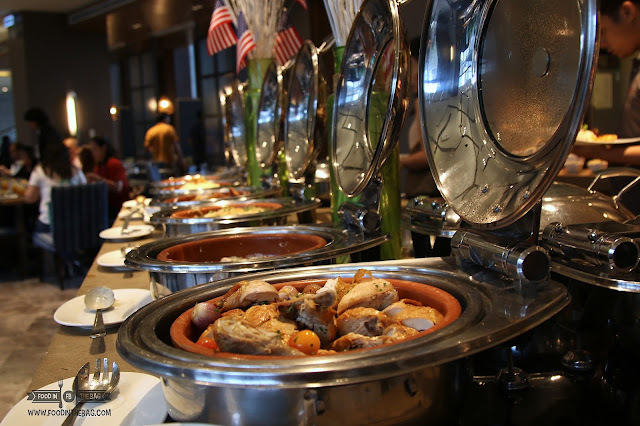 Flavors at the HOLIDAY INN MAKATI serves different AMERICAN THEMED dishes every Friday, Saturday, and Sunday of JULY. 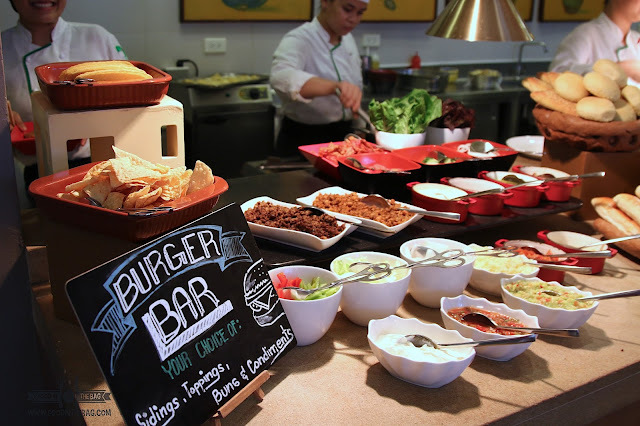 Aside from the burger bar, one could also customize a taco and even a hotdog. 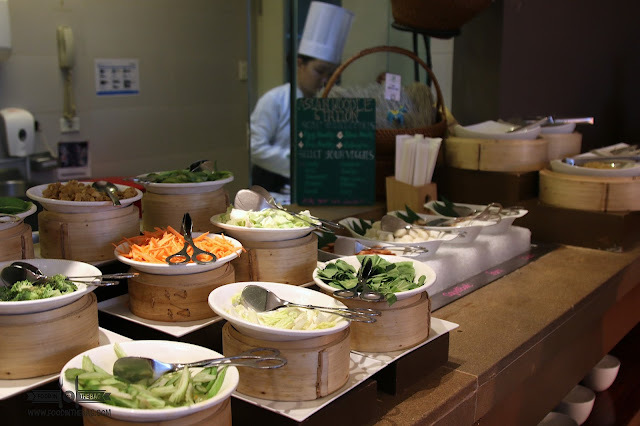 Lunch buffet starts at Php 1,605 nett and Php 1818 nett for dinner. If you're in the area, a visit won't hurt.